Blue screened on driver update, rebooted on running 3dmark and in playing games. It was also incredibly high pitched with a constant coil whine that wasn’t very easy to tolerate. Performance wise the triton is just as fast as the razer for games, runs a lot cooler too. I was able to do a -.140 undervolt and my triton is staying about 65-70C with “turbo” on and with turbo off (more like a 2070 with it off) the fan never revs full speed and the machine stays quiet compared to anything else I’ve tried. 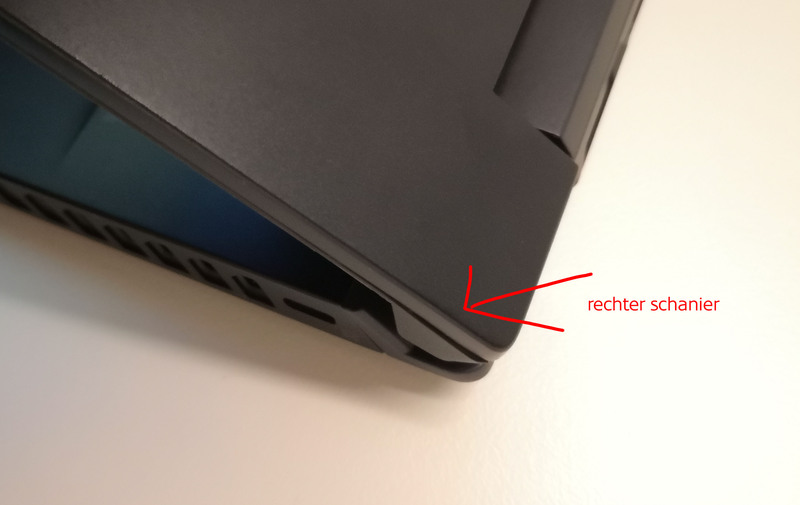 I’d say the triton or Lenovo y740 15” is the best option out there... I only ended up with the triton because of Lenovo’s inability to ship. If anything I’d say the 2060 triton is the best bang for buck out there with one of the best build qualities. The only major negative is if you intend to open it up for after market upgrades... it would be very easy to do something wrong and kill the machine. Thanks for your insights. Had a 3 day business trip and it held out well. Gonna keep it I think as my primary driver for the time being. I like the looks of the blade but I have to import it and I dont want to deal with potential issues in that case. Also it is more expensive. The Triton does perform very well under heavy load and my temps stay nicely under 90c with okay fan noise. Some people have said the stock180w power supply doesn't supply enough to power it while under high load, was wondering if the 230w one from the triton 700 be compatible with the 500? Just curious, I actually exchanged my first Triton 500 for it, but both had it, is the right side hinge cover sticking out slightly? It was the same on both units that I had. Mine does drain ever so slightly *if* I have a laptop cooler running under it (thus giving the system more thermal overhead). Otherwise the system generally sits right at the edge of what the 180w power supply can provide. I've curbed the drain a bit in this situation by putting a more aggressive undervolt on the CPU, but the problem persists. While I don't own a Triton 700, I compared pictures and it doesn't look like the plugs would be compatible. I've contacted Acer about it (after seeing similar situations around the web of people getting bigger PSUs supplied for this same issue, tho none specifically with Acer) and they elevated me to the next level of support, but I've unfortunately been playing phone tag with the rep all week. Ive just run a light benchmark on the gpu and it seems the Rtx 2080 Max Q in the Acer Triton 500 does go up to 90w when boosting. i have also applied a 150mhz overclock on the gpu and 500mhz on the memory and it seems to run ok. if I increase to 200mhz it freezes. Interestingly i am unable to unlock the voltage control. Has anyone succeeded in doing this as i believe with a little more voltage it could be overclocked higher still. Im contemplating applying the 90w bios to see what effect it has on the wattage overall. Will it increase the wattage to over 100 on boost. This is my bios compared to the Msi. As you can see the are some difference including texture fill rate and bandwidth. Can anyone tell me if the 90w bios is compatible as from what I can see I would say not. The 180W power brick might limit a 90w BIOS and power throttle. That may be the case but it it may also draw down on the battery charge rather than throttle. I’ve already seen loss of battery charge when overclocking for long periods. Not massive amounts but still there. Does it do anything else by any chance?